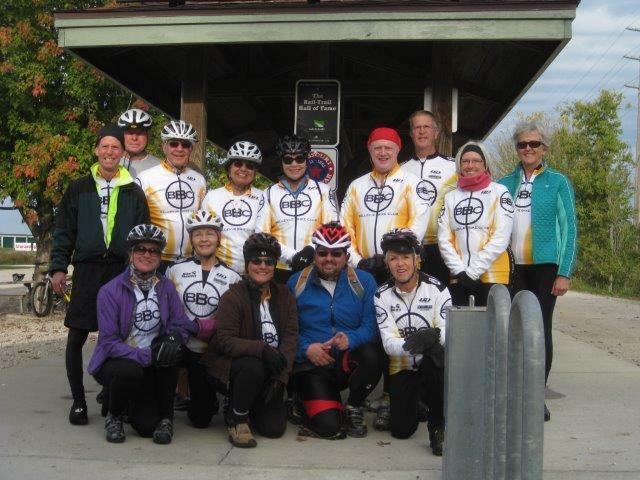 This was our fall-bike ride for Columbus Day weekend after cancellation of the South Dakota ride for weather. We stayed in the Super 8 in Perry. 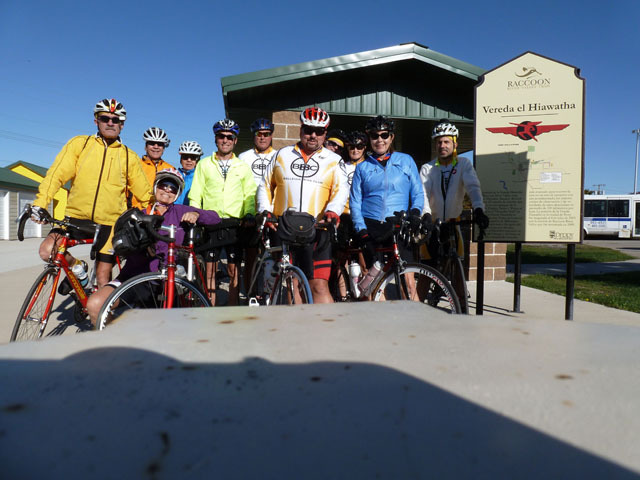 it was a great weekend for riding starting Friday night with a night ride to across the High Trestle Bridge. Saturday, we biked to Waukee for lunch and bucked the wind all the way back. Sunday was perfect as we traveled to Panora for lunch. For our annual Labor Day Ride for 2013. Some of us started at the old Rick's Boat Yard parking lot and the rest joined at Dodge Park. It was a great day for riding the Omaha trace and Boyer Chute. Then we finished with lunch at the Surfside Club. 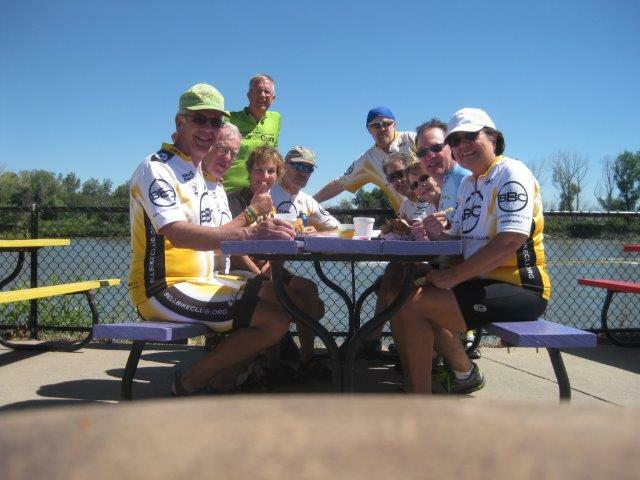 Here is one picture of our 2012 Columbus Weekend Ride to the Katy Trail in Missouri. 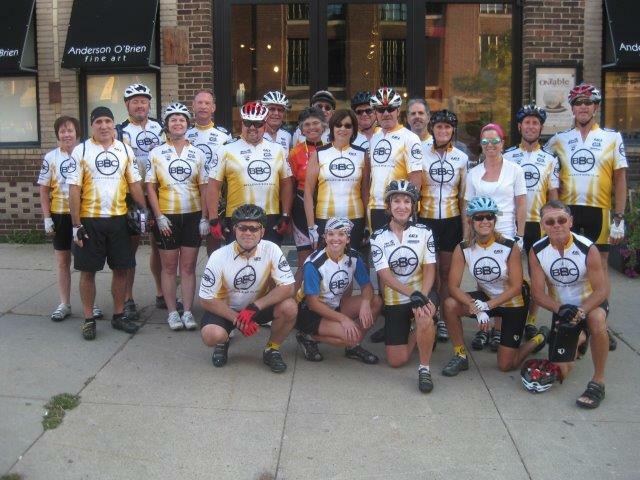 A large group of us rode the Omaha Corporate Cycling Challenge this past August.